In the far north east of Scotland, located between the Cairngorm mountains and the coast, lies the granite city of Aberdeen. This architecturally unique city may not be a typical holiday destination but campervan hire in Aberdeen has so much to offer as a holiday option! Its northern position means that in summer it is light until 11 pm and there is even the chance to see the Northern Lights. 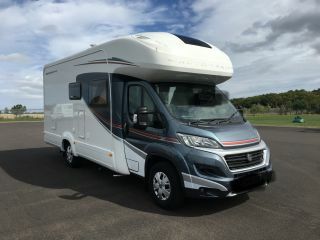 Whether you are looking for an adventure in the great outdoors, fascinating history or a relaxing break motorhome hire from a private owner with Goboony in Aberdeen gives you the perfect opportunity to explore this fantastic corner of the country. 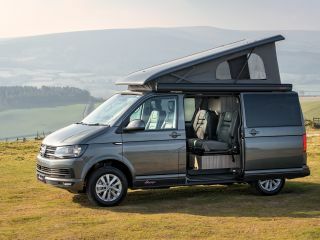 Great new VW bus, clean and comfy for driving around. Not really suitable for older and less nimble occupants. Need to limit your luggage especially if more than 2 adults are travelling. Alan is a great host, to be recommended. We had a great trip around Scotland. 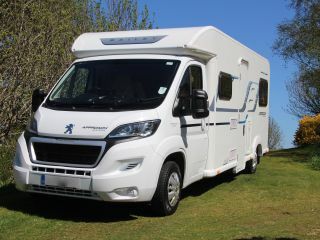 There are a variety of options for campsites near Aberdeen from coastal views to idyllic forest locations, you simply need to narrow down what is essential for your motorhome hire holiday. Within 20 minutes of the Cairngorms National Park, Feughside Caravan Park is the perfect location to escape the modern world and be immersed in nature. There is easy access to the area’s many forest trails and even a fishing lake a short walk away! Park up your motorhome or campervan rental and discover Aberdeenshire’s wonderful natural assets. If you are looking for a more coastal location head for Stonehaven Queen Elizabeth Park Caravan Club Site just down the road from Aberdeen for fabulous views over the sea. There is even an art-deco Olympic sized pool a short walk from the campsite if you want to get in your laps during your stay! You certainly not be given a chance to get bored in Aberdeen with a huge variety of things to do in this bustling student city. Aberdeen’s important strategic location on the coast at the mouths of the rivers Dee and Don, has provided it with wealth and political significance and as a consequence numerous fascinating historical attractions. Visitors to the city will not want to miss it’s fortified cathedral in Old Aberdeen. St. Machars is a striking 15th century monument full of intrigue and the purported resting place of the arm of Williams Wallace! The quaint Footdee or ‘Fittee’ in Doric the local ancient dialect, is a former 19th century fishing village also not to be missed with it’s charming fisherman’s cottages and cobbled lanes. You can also still get some delicious seafood here! Nature lovers will be delighted with the opportunity to see a variety of species of dolphins and even whales on a short cruise from the city harbour. Aberdeen also has some great music venues with the Lemon Tree being a firm favourite with its excellent beer selection and top musical talent. 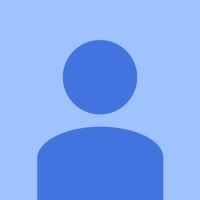 Whatever your interests you are sure to find the perfect event for you in Aberdeen! The Doric culture of the region, with its particular music and dance is something that you have to experience during your trip in the region. Open air settings give these cultural events an unforgettable character! Foodies will love the rich variety of local produce in this region with frequent fairs and festivals celebrating the region’s delicious seafood and wild game. The Tarland Food and Music Festival held in September is a great example! Christmas is an exciting time of year in Aberdeen with an array of events in the town and local castles including food markets, craft fairs and live concerts. Inspired to visit this wonderful region? 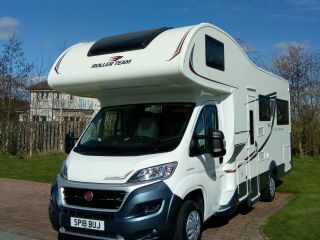 Hire a motorhome with Goboony to fully explore Aberdeen and what it has to offer!